The global hunt for high-quality, low-risk copper assets that are ready for construction is about to get tougher after Teck Resources Ltd. sells a stake in one of the few deals available. Sumitomo Corp. and Sumitomo Metal Mining Co. agreed to pay $1.2 billion for 30 percent of the Compañia Minera Teck Quebrada Blanca SA project in northern Chile. The mine, which will require an estimated investment of $4.7 billion, is set to start producing in 2021 and could double Teck’s copper business. “This was one of the biggest and most sought-after deals in the market — there are few projects like that out there," Cesar Perez-Novoa, an analyst at BTG Pactual in Santiago, said by telephone. “The transaction has closed at quite generous multiples, which shows that good-quality projects ready for development are scarce." The deal comes at a time when miners are struggling to keep up with demand after years of underinvestment. Inventories tracked by exchanges in New York, London and Shanghai are already at the lowest in almost four years and production is expected to trail consumption from 2021 to 2023, according to CRU Group. Miners are likely to remain focused on keeping their balance sheets clean and will probably tap into investors’ hunger for copper to bring in project partners who are willing to finance large expansions and new mines, according to Perez-Novoa. The company will use the proceeds of the stake sale to reduce outstanding bonds and return cash to shareholders, which could be done by dividend or buyback, he said. A decision will be made after the deal closes in April, according to the company’s statement. The announcement on the Chilean project follows similar deals closed in neighbor Peru over the last few months. 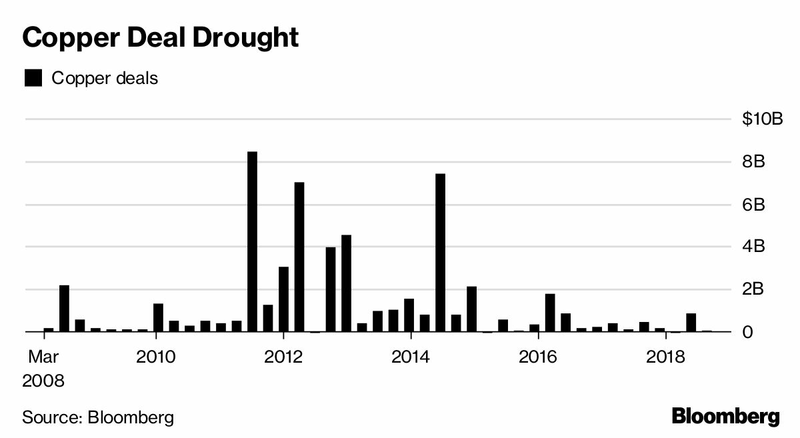 The world’s two largest producers of copper are home to a number of attractive projects that have remained stagnant for years and that could easily be reactivated, Perez-Novoa said. 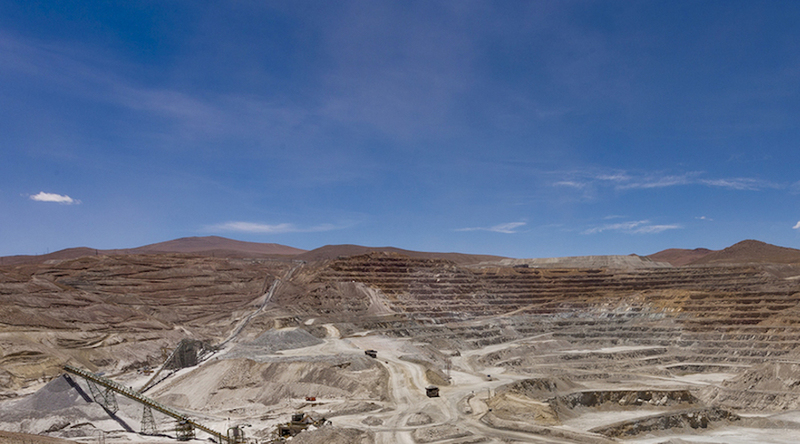 Anglo American Plc’s Quellaveco mine, a $5 billion project in Peru, started construction in July, a month after Mitsubishi Corp. increased its ownership stake to 40 percent. In a similar deal, a unit of Chile’s Empresas Copec SA bought a 40 percent stake in Minsur SA’s Mina Justa in Peru, which is now under construction. “Selling a stake can be a way for miners to lower their risk while they keep their discipline and their investment ratings,” Perez-Novoa said.